The best way to get relaxed to Croatia is using on of our many ferry services and avoid a long overland drive. 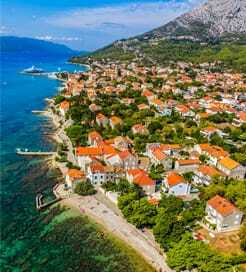 Croatia is located on the Adriatic Sea, a side arm of the Mediterranean Sea and with its long coastline and myriad of islands it is ideal to travel to Croatia by ferry. Ferries go to the Croatian mainland as well as popular islands such as Cres, Hvar, Rab and the island of Pag. There are 6 different ferry operators offering a total of 24 routes between Croatia and Italy from a combined 19 ports. Ferries leave Italy from the ports of Venice, Ancona, Trieste, Bari, Pesaro, Cesenatico and Civitanova Marche. 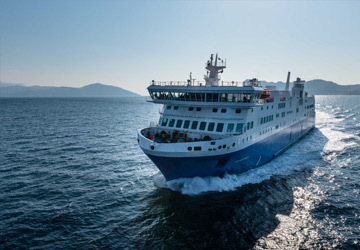 In Croatia ferries arrive in the towns of Split, Dubrovnik, Zadar, Rovinj, Pula, Porec and Umag, as well as the island ports of Hvar, Stari Grad, Mali Losinj, Rab and Novalja. View our map for all crossings and ports from and to Croatia. How long does the Croatia ferry take? Ferries between Croatia and Italy are offered on a schedule between 1 and 7 times a week and the crossing duration is from 1 hour 30 minutes on the Trieste – Rovinj crossing to 14 hours and 15 minutes on the Ancona – Stari Grad route. From Ancona to Split and Zadar, from Bari to Dubrovnik and from Venice to Rovinj, Pula, Porec and Umag. On all other routes and with all other ferry operators you can only travel as a foot passenger or with a bicycle. Book with Direct Ferries easy and quick online to get the best prices available for your next Croatia ferry trip. With us you can also compare ferry operators, timetables and costs and read about the experience of other customers. Use our price finder tool and profit from special deals and offers.